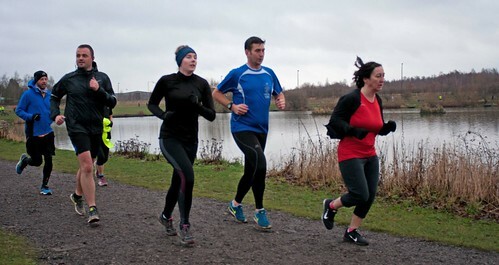 Well, it was most unusual to celebrate a double 50th milestone when not only were they husband and wife, but one was for their 50th parkrun and the other for their 50th birthday. 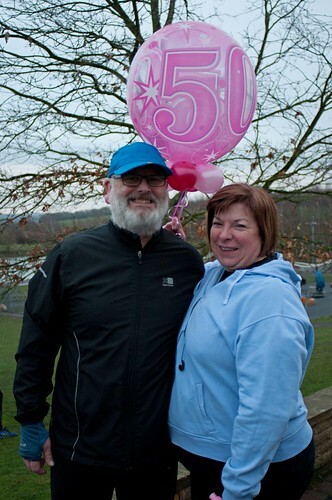 To clarify, Poolsbrook regular volunteer Michael Joel has reached his half century of years whilst his wife has done the same but in parkruns – congratulations to both of you, and thanks to Michael for doing the pre-event setup before we started. Oh, and of course, thank you to both of you for the cakes – they went down very well indeed. On the theme of volunteering, many thanks this week go out to Alfie WALTON • Andy BATTLEY • Andy MORRIS • Chris PATTISON • Daniel HARPHAM • Gabbie PATTISON • Gemma MORRIS • Graham WALTON • Jean BAKER • Jess JOEL • Judith SATCHELL • Keith HUDSON • Louise LOWE • Michael JOEL • Mike COLLEY • Paul SATCHELL • Peter Donald SMITH • Roger KENCH • Teresa PAYNE • Wendy WESTON • William STREET for making it all happen. As you all know by now, we need volunteers each week to put our parkrun on, so if you’d like to help – leave us a message on our Facebook page or e-mail us on poolsbrookhelpers@parkrun.com . If you have a preference for a role let us know, and also let us know your athlete number please (printed on your personal barcode). 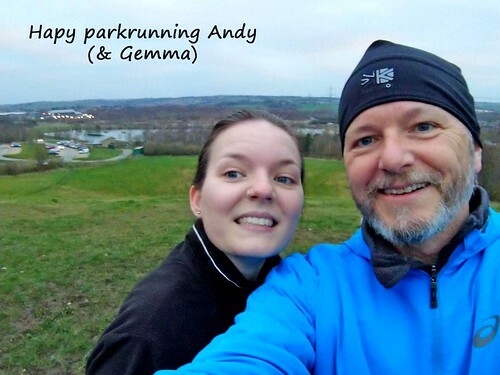 This week I was photographer again and also did the new runners briefing along with my daughter Gemma who just loves being asked to explain aspects of our parkrun to visitors (well, she says she doesn’t but I reckon she does really). In fact it was my 200th time volunteering, doesn’t time fly ? It was great to welcome 15 people who undertook their first ever parkrun and let’s hope that we see them again every week. So, hello to Martin SCOFFINGS; Max MOSCARDINI, Jay NEWBOLD, Garry ALLEN, Andy WARNER, Melanie LUCAS, Emily SWIFT, Catherine GALLOWAY, Sophie WHEAT, Matt SELLARS, Harley-Jo WALTERS, Leah WRIGHT, Andy BROOKS, Evie NELSON, Lucy CURTIS. We always like to greet tourists to Poolsbrook parkrun, this week there were 22 of them, we do hope that you all enjoyed our lovely country park. Mike was Run Director this week, and he did his best to keep the pre-run briefing as brief as possible so you could all set off and start getting warm while you walked, jogged or ran. 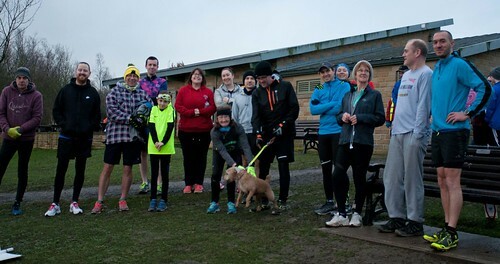 In fact 204 of you completed the 5km this week, this is a pretty good turnout considering the weather warnings – thank you to everyone who took part. A good number of you managed to achieve personal best times, in fact 38 of you completed the event faster than you have ever done before – congratulations to all of you. What do you think Giles was doing in this picture (above) - let us have your thoughts !!! And, just so they don’t forget – these people are on 49 parkruns - Giles SEARBY, Helen WARD-WILLIAMS, Sara SHAW – anyone for a 50th next week ? If you are celebrating a milestone – please let us know in advance so that we can give you a mention in the pre-run briefing. we love to hear from you, if you have a story please contact us. Most of you will know Jean who is always there handing out finish tokens and of course making her usually very accurate estimate of the number of parkrunners as they pass her for the first time. 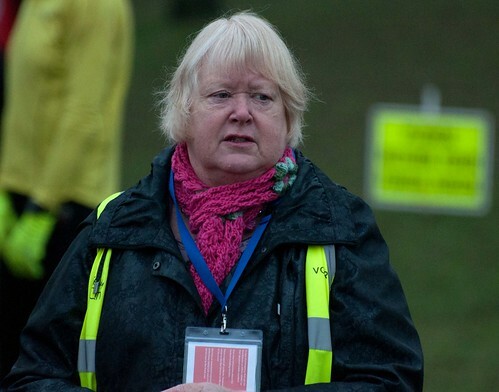 Well, this week Jean has put pen to paper about her volunteering – thank you Jean from everyone at poolsbrook parkrun. Sometimes on a Saturday when it's cold and wet I wonder why I am about to set off for the parkrun. I am on my own and although I have good friends I am very reluctant to make the effort to go out so my son, Damian, who is a runner suggested I gave Poolsbrook a try as it needed volunteers as well as runners. 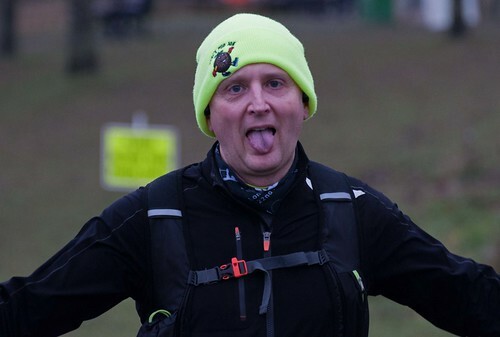 I marshalled for about 3 months but as my ankle isn't what it should be by the time I got back to the finish there was hardly anyone there and I didn't go in the café and just came home. I told Damian there was no social side to it for me so was giving up but he suggested I tried something else which is how I came to start handing out tokens and have now done that over 100 times. I started counting the runners as a bit of fun and now others do it too. Mind you Andy will tell you I was once 100 out. I mainly only miss if Damian is home and he has dragged me out to catch a 6am train to a different parkrun. I then make up for missing one by helping at the Junior parkrun on the Sunday. I have made a lot of new friends now and of course I am straight into the cafe afterwards. Special mention to Heather, Roy and Ruth who will always have the coffees in and have found a table for us to sort the tokens back onto the string.